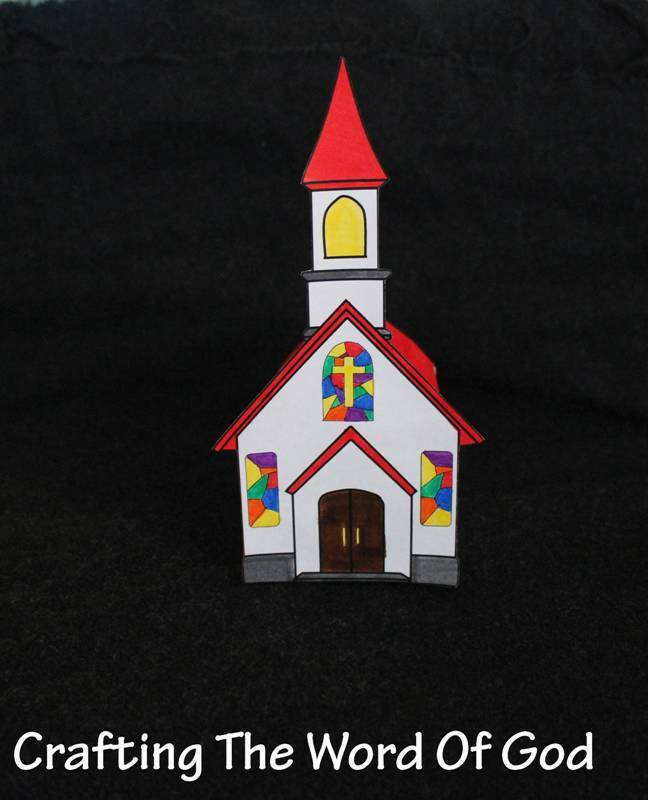 This craft can be used to illustrate different characteristics of the church. The church, those that have been saved repentance and by faith in Christ, is the body of Christ. The one and only head of the church is Christ. Believers are baptized by the Spirit into the body of Christ. The unity, love and humility that must exist within the church. Every believer is spiritually equal before God. As members of the body of Christ, we must use our gifts to serve one another. Connect the arms and legs to the main body piece using metal brads/ paper fasteners. Glue the church image to the body and the cross image to the head. This entry was posted in Bible Crafts, Church, Jesus, NT Crafts and tagged baptized, bible craft, body of Christ, Christ, church, equal, head, head of Church, humility, one body, one CHurch, unity. 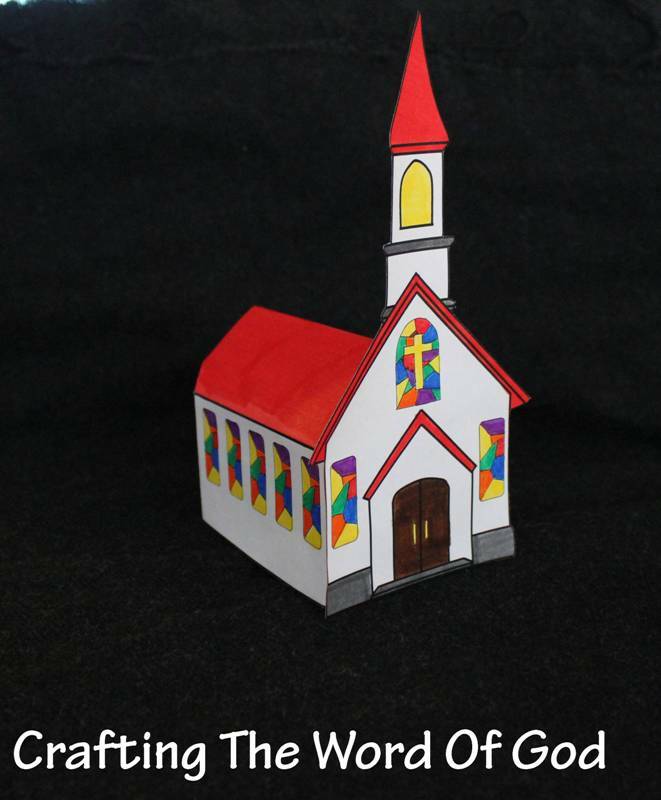 This entry was posted in Activity Sheet, Bible Crafts, Church, Disciples, Holy Spirit, NT Crafts, Printables and tagged Day Of Pentecost, disciples, flame, Holy Spirit, puzzle. Glue the smaller shield onto the large shield. Next glue on the cross, then the word “defense” and finally the verse piece. To finish the craft, on the back glue on the handle. 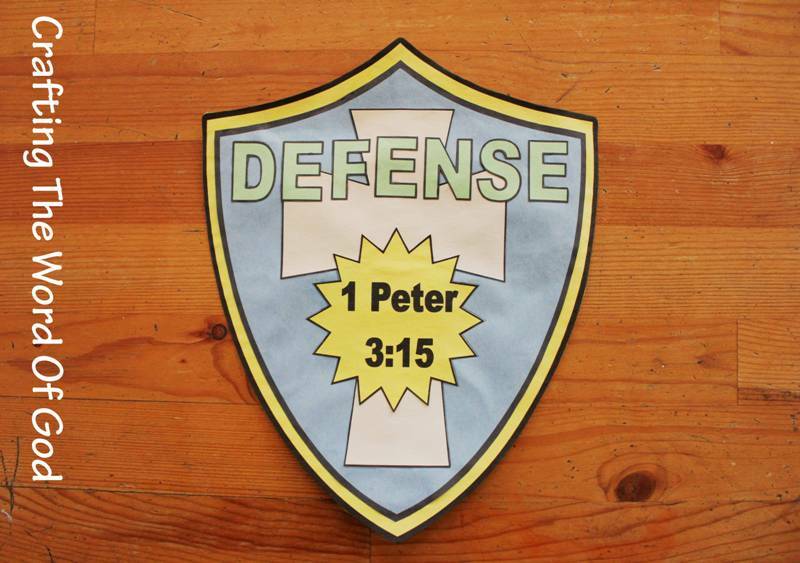 This entry was posted in Bible Crafts, Church, NT Crafts and tagged 1 Peter 3:15, belief, bible crafts, church, craft, crafts, defend, defense, faith, give a defense, give a defense shield, gospel, shield, truth. This entry was posted in Bible Crafts, Church, Disciples, NT Crafts, Peter and tagged bible crafts, color, coloring page, craft, crafts, Day Of Pentecost, disciples, Easter, first sermon, gospel, Jerusalem, multitude, Pentecost, Peter, preached, print out, printable, sermon. 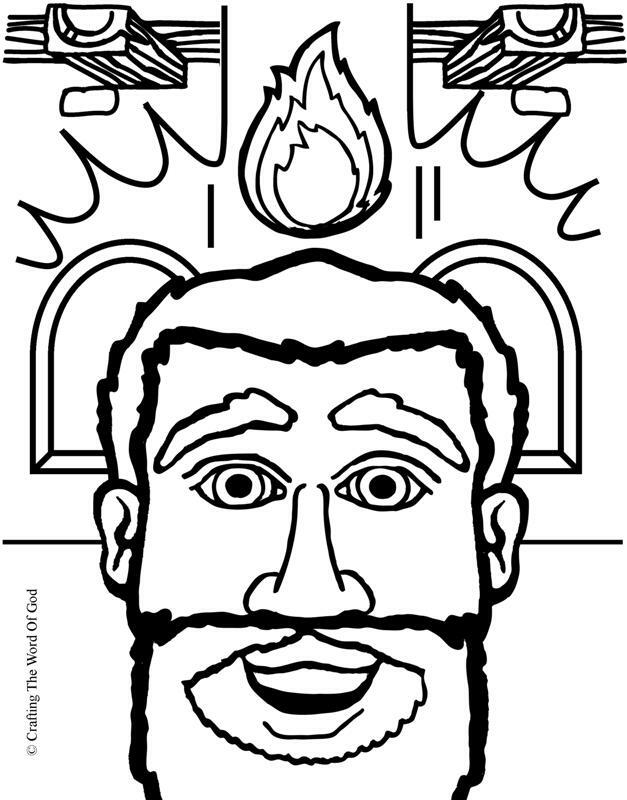 This entry was posted in Bible Crafts, Church, Coloring Page, Disciples, Holy Spirit, NT Crafts, Printables and tagged bible crafts, color, coloring page, craft, crafts, Day Of Pentecost, descend, disciples, Holy Spirit, Pentecost, print out, printable, The Day Of Pentecost. 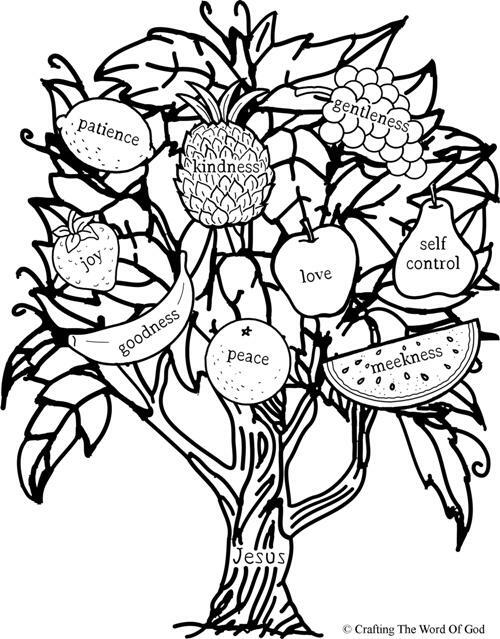 This entry was posted in Church, Coloring Page, Jesus, NT Crafts, Printables, Teachings and tagged bear fruit, believers, bible crafts, color, coloring page, craft, crafts, fruit, fruit of the spirit, Jesus, know them by their fruit, print out, printable, vine. Do you treasure God’s Word? Do you treasure it in the depths of your heart? The Bible is like gold to those who know its value. It is the very word of God. Glue both sides of the chest together. 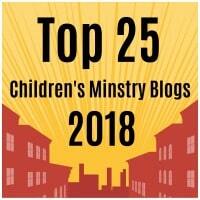 Glue the Bible, gold coin piece and the smallest piece onto construction paper. This gives the item strength. Cut out the pieces from the construction paper. 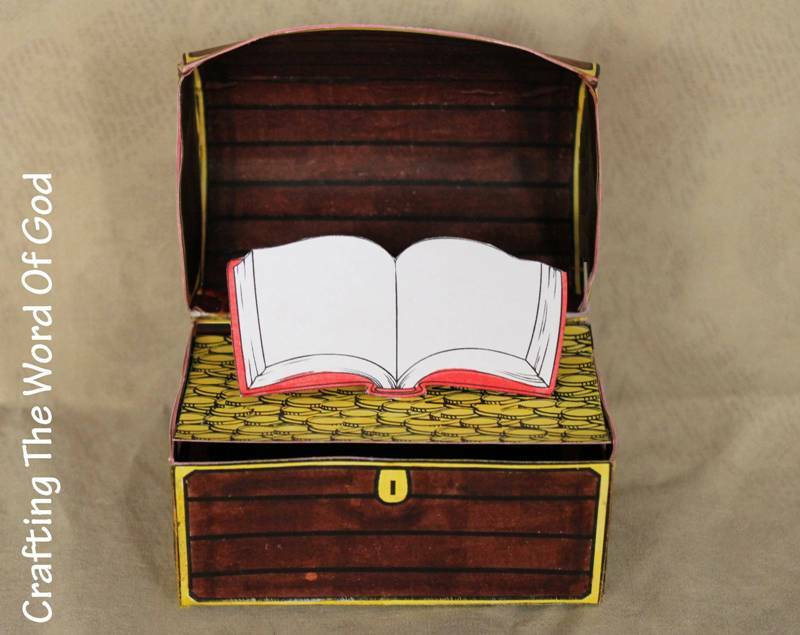 Cut out the rectangle from the bottom of the treasure chest. Glue the gold coin piece to the treasure chest. Take the smallest piece and fold on the solid lines, creating a crease. This will become the stand for the Bible. Glue one part of the stand to the back of the Bible piece and the other to the gold coin piece. If you like you can add glitter to the gold piece part. This entry was posted in Bible, Church, NT Crafts and tagged bible, bible crafts, craft, crafts, God, Gods word, gold, treasure, treasure chest.